We’re starting a new feature today, one that we hope you really enjoy. The section is titled “I Was Wrong,” and it’s based on things we’ve either said or reviewed on the site that we’d like to apologize for, since we’ve come to realize now that we were wrong. I know some people want me to apologize right off the bat for my Vampire Weekend review, but I’m not there yet, sorry. The first edition goes to The Walkmen and their album You & Me. When it first came out, I wrote this REVIEW. I found it boring and uninspired, especially after listening to “The Rat” on repeat for years. Now, as time has gone on, and I’ve invested more time in the record, and seen the band perform the songs live, things have changed up a whole lot. There are songs sprawling with emotion, catchy basslines that walk you through the songs, and then there is “In the New Year.” Sharp edged guitars ring in your ears before Hamilton’s vocals crash into the scene. Listen to this song, now! For that matter, go back and listen to the record, and see what I failed to see upon the first ten listens. I made a rash decision based on hurried listening, and I’ve come to regret that entirely. To you, dear reader, I’m sorry, I was wrong. Wednesday was a packed night of rock n’ roll across our fair city, and I found my way to the Independent so I could catch White Rabbits with our friends Here We Go Magic. If you weren’t there, you missed one heck of a show. In retrospect, it was the free tequila at that third South By Southwest party that did it. And there was that energy drink you downed, despite the fact you’d never heard of it (hey, it was free). Of course the Southern Comfort at party five didn’t help either. Nor did the eleven beers between party one and party seven (3 micro-brews, 2 Shiners, 5 PBRs, 1 new crap beer Budweiser is pushing). The fact that this unholy blend of alcohol is now fighting it out with the bratwurst and street pizza you consumed yesterday is only complicating matters. Stomach hates you. Brain not functioning. Unidentified bruises abound. Water and aspirin cannot save you. All this and your friend has the nerve to say: “I’m not hung over at all, I feel great!” Resist the urge to punch him in his stupid face. Go and put on a nice soft record. Follow the jump for 5 Albums that will help you cope with a hangover. 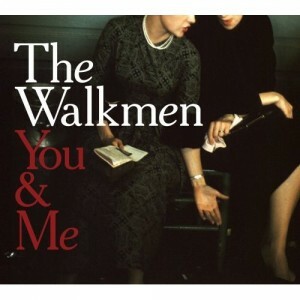 ATH had the pleasure to cover The Walkmen show last Friday night at The Parish. Read our full show review and take a look at some pictures from the show after the jump. 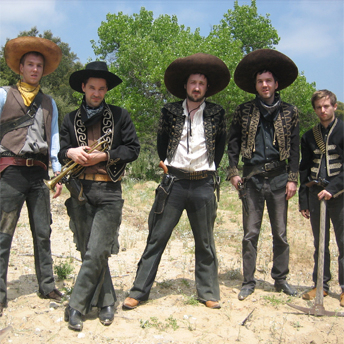 The Walkmen will be showing up at The Parish on Friday night and we suggest you make it out. Tickets for the show are only $15 and can be bought from the Front Gate Tickets website. Also, check out the band’s recent single “Red Moon” elsewhere on our nice website. Somehow this little group from Boston, who is actually just one dude, made its way into my pile of things to listen to. 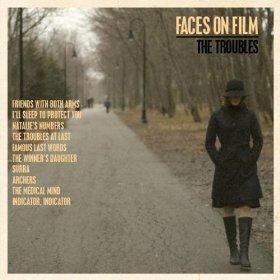 Unaware of the band, Faces on Film has now won me over, unexpectedly, with their album The Troubles. “Friends with Both Arms,” opens up the album pleasantly, with Mike Fiore coming across your ears like a more eager Hamilton Leithauser. The vocal quality is quite similar, at least in that hollow echo aspect; here it sounds more complete than Hamilton. From here it goes into “I’ll Sleep to Protect You.” Upon several listens this sounds like a lost Modest Mouse demo that we never got the chance to hear. It has a little more beauty, which I think keeps the track focused, but it still has that primitive folk sound. Then we take a short jump onto “Natalie’s Numbers,” which recalls the bedroom folk of Eliott Smith, as far as guitar sound goes, with the vocal tracings of Win Butler. The chorus is fixed with nonsensical lyrics accompanied by a female vocalists, and although its unexpected at this point, it provides an interesting view to the insight of this song. “Troubles at Last” is one of those songs that shouldn’t have been included. Its just studio noise. 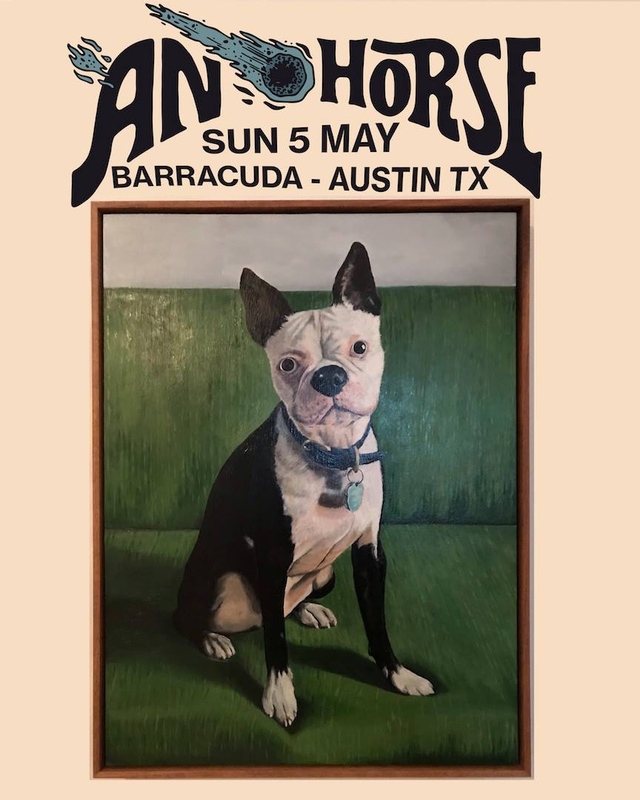 “Famous Last Words” carries on with a bit of bounce, but it still appears to maintain that Arcade Fire association, which when prepared isn’t entirely off-setting. I suppose the majority of this allusion is due to the vocals, all which resemble early AF. And it’s juxtaposed with a Walkmen meets Modest Mouse echo of a song in “The Winner’s Daughter.” Although the feeling is similar to that of other songs, it seems out of sorts for some reason, and is probably one of the weaker songs on the album. The rest of the album follows suit, wearing concert t-shirts of previously mentioned bands, only adding a Dr. Dog reference point near the end with “Medical Mind.” But just wait until the end because “Indicator, Indicator” is really fantastic. It is the precise closing moment for this album, letting the listener relax and rest as the album draws to a close. Despite a lot of obvious references, some too obvious, the album has an enjoyable quality to it, one which gives it some merit. However, it lacks a bit of pace, and I mean that in the sense of the song, not in the flow of the album. Each song would benefit from just a bit of pace, but then again, its not my album. At the end, it ends the way it should, leaving Faces on Film with a few merit badges for their effort and a few more for quality. You can download the entire album on their Myspace Page. A few years back The Walkmen released an amazing sophomore album in Bows and Arrows, but as time has gone the by and by, the band has found it difficult to reclaim the strength of that album. Now, a few albums later, they were supposed to come back at us with everything back in place. Unfortunately for us, and more so for them, You & Me doesn’t get anywhere near that point. In reading promotional information on their label’s web site, it said they wanted to approach the similar styling of bands such as The Modern Lovers, featuring Jonathon Richman. Upon listening to this album, you can tell that they did indeed approach that style, with the vocals put in the front of the mix, meant to carry along the songs. The sad part is that Richman has a voice, that although not the greatest, still has the ability to carry his entire band along through his vocals. The Walkmen, in their attempt to take a similar approach, don’t quite achieve, which falls upon Hamilton Leithauser. His Dyalnesque leanings just don’t quite hold up to the songs, rendering the majority of this effort kind of pointless. It’s one thing to reference Orbison, Holly and Elvis in a press release, but it’s an entirely different thing to pull it off. For me, the fault of the band is not so much their reliance upon Hamilton’s vocals, but their lackluster performance as his backing band. The music on this album just doesn’t seem to have a great deal of enthusiasm, nor does it get anymore creative than their previous efforts. In all honesty, their just isn’t a lot to hold on to musically, which does achieve the purpose of making us listen closer to Leithauser. I just don’t understand how there isn’t any effort in the music. The one redeeming factor for this album could be in the song “In The New Year,” which was one of the first songs that they released to the public. It’s jangling guitar lines do add to this song, and the percussion is pretty solid, but they misstep when they claim “its going to be a good year.” I can’t imagine how putting out a record like this will make it a good year, but I’ve been wrong before. For those of you who have never strayed away from the band during their tenure, you will probably find some redeeming qualities to this album, especially when it comes to some of their reference points. But, the majority of us, who have stood in the stands watching the band with skepticism, will continue to watch from afar in hopes that they one day recapture their long-lost magic.